Torrid.com offers exiting cutting-edge plus size apparel, shoes, and accessories for young women and juniors. Avenue offers chic trendy plus size clothing in casual styles that appeal to juniors, teens, young women, and all stylish ladies. Debshops offers an exclusive collection of junior clothing, plus size clothing in women sizes 14, 16, 18, 20, 22 and 24 to appeal to young ladies, shoes and accessories. 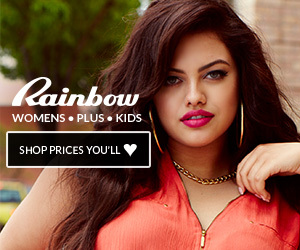 Here you will find the latest in the plus size trends, fashionable clothes in plus sizes. Figuresque is dedicated to bringing trendy plus size clothing featuring cutting edge trends in junior plus sizing and the sexiest trendy and fun casual plus size apparel. They claim to believe that their clothing helps large body women feel more confident, sexier, and happier with themselves. Trendy and comfortable streetwear store. They offer jeans, sneakers, tees, polos, jacket and boots, in sizes starting from XS up to XXL. Alight.com offers plus size clothing for fashionista women and teens. The online store has a great assortment of junior plus and contemporary plus size clothing including trendy jeans, cool tops and lots of unique dresses and gowns. Alloy.com is a top teen site for fashion and celebrities styles. Their store offers the latest trends in junior fashion in extended sizes. Gap.com is a top store that offers fashionable clothing for ladies of all sizes from XS to XXL. Their clothes are trendy, edgy, and of great quality at reasonable prices. Like it. Thank you for doing such a good job. I’ll check to this site to read more and tell my acquaintenances about your website. Seems like you really understand a good deal pertaining to this subject and it all demonstrates via this blog, termed “Plus Size Kids Juniors Online Stores offering trendy junior plus size clothing and plus teens apparel | Plus Size Clothing”. Hey there, my name is Florencia and I’m a fellow blogger out of Saint-Denis, France. I like what you guys are up to. Coming upon plussizeclothing4me.com was refreshing and helpful in terms of writing and work. Continue the good work guys: I’ve put you guys on my blogroll. I believe it will boost the appeal of my web site.